Cheese makes EVERYTHING taste better!! Especially parmesan cheese, on any and every vegetable 😛 Adds a nice cheesy, nutty, and savory flavor to every bite. Directions: In a large bowl, combine cauliflower, oil, salt and pepper; toss to combine. Transfer cauliflower to a large baking sheet and spread into a single layer. 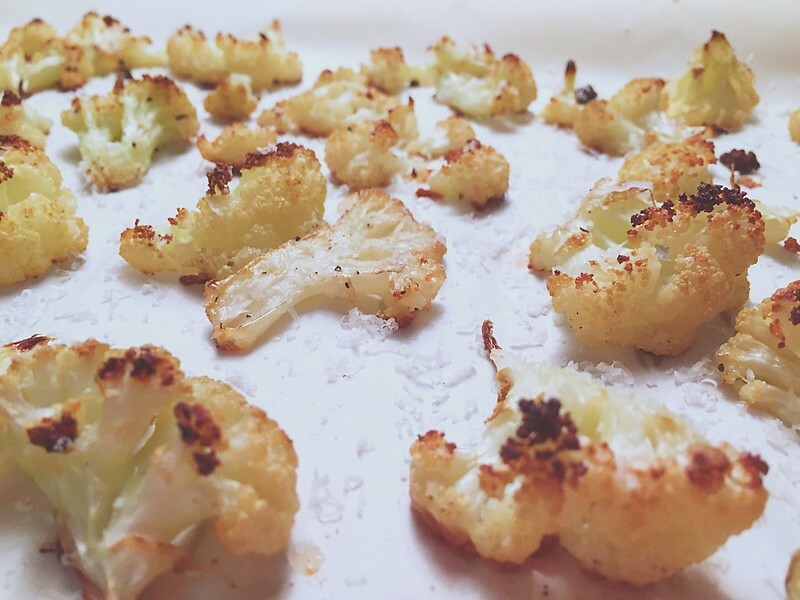 Roast until cauliflower is golden brown, tossing occasionally, about 15 minutes. Remove from oven, place in serving bowl and sprinkle with cheese; toss to mix. Yields about ¾ cup per serving.